Professor Glesner Fines explains how create an outline for your law school class that reflects what you have learned and prepares you for your exam. This podcast is the third in a series of Lawdibles from Professor Glesner Fines. The series of podcasts accompanies her book “Materials for Law School Success,” available for free from CALI’s eLangdell® Press. 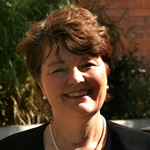 Professor Glesner Fines has written numerous CALI lessons on a variety of legal topics. Her lessons are listed here.